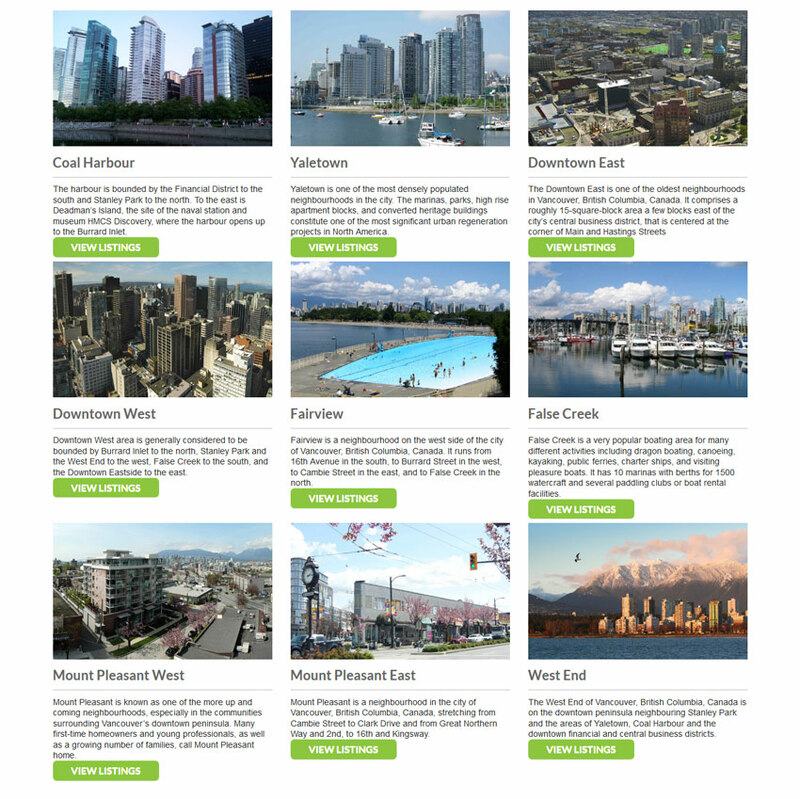 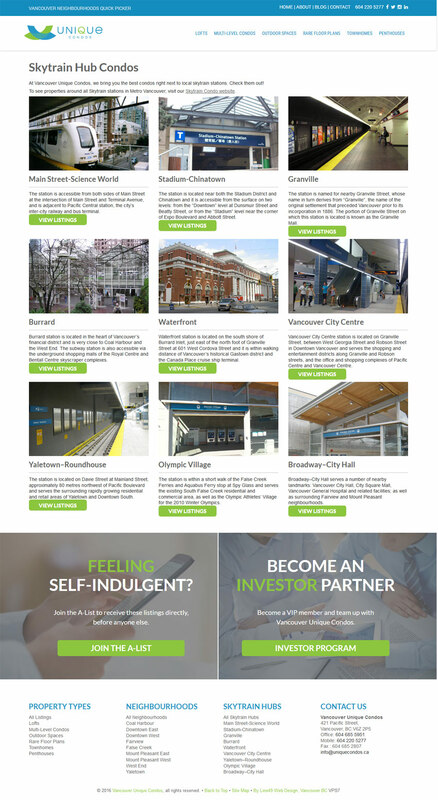 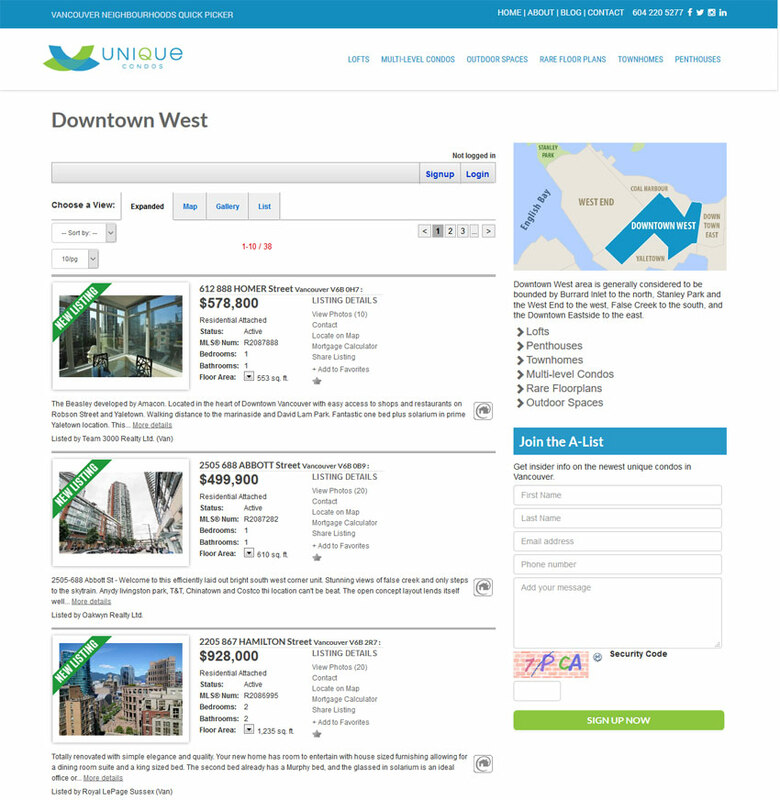 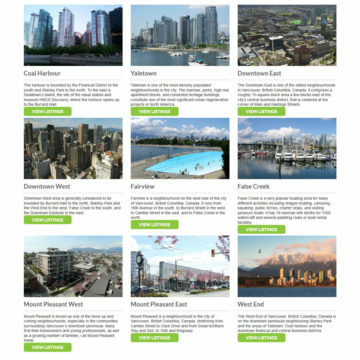 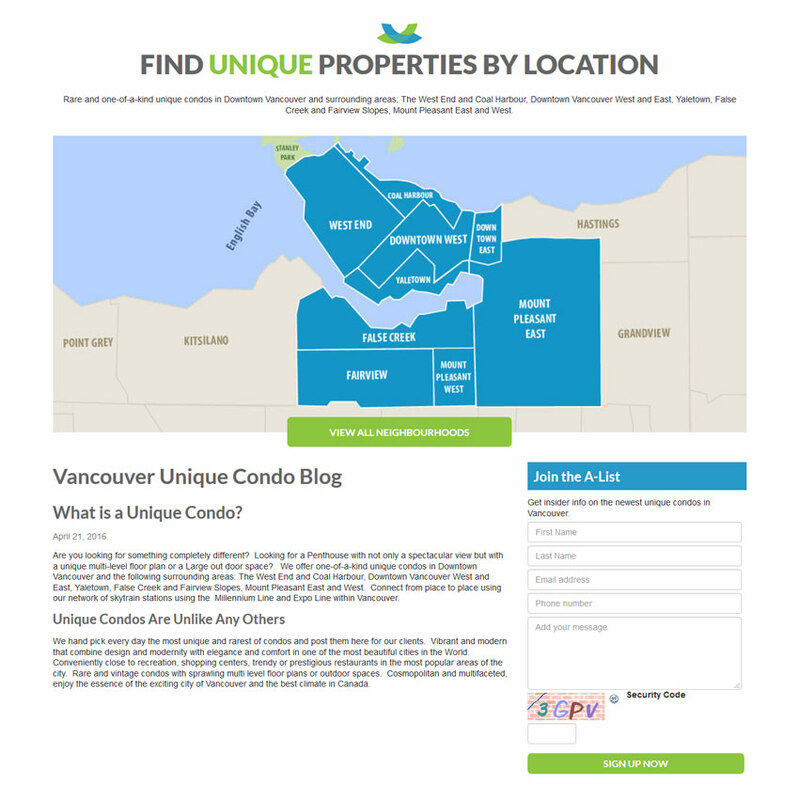 Vancouver Unique Condos, where Vancouver’s best kept real estate secrets are exposed. 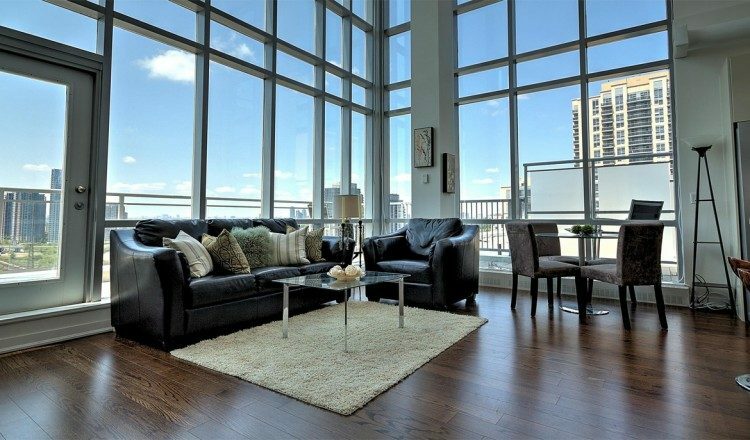 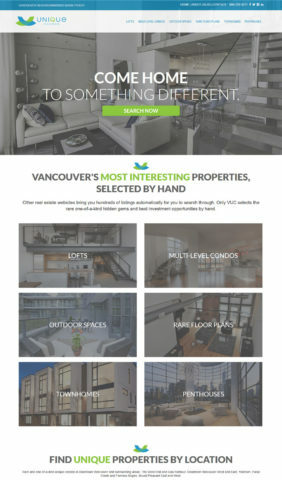 If you’re looking for a website that showcases cookie-cutter style condos with no character, you’ve come to the wrong place! Here, you’ll find only Vancouver’s most exceptional, one-of-a-kind hidden gems–from rare outdoor spaces, over-height ceilings, multi-level floor plans and open concept layouts. Layout & Design: Box Layout, Iconography, Responsive or mobile-friendly web design, Slideshow or Slider, Splash Page, and Typography: notable typeface or font selection.